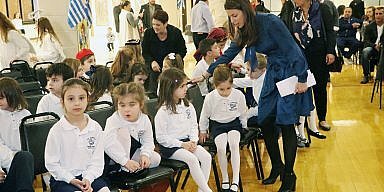 St. Thomas Greek School opened it’s doors this past Thursday to a record amount of students. 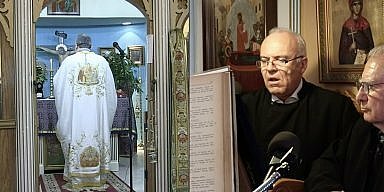 More than 160 students signed up to attend the Greek school at St. Thomas Greek Orthodox church, established in Cherry Hill in 1967. The first, second and third grade classes have been growing steadily, outpacing the older classes while the kindergarten has grown by nearly 40% this year alone forcing a second classroom to be added for the new students. At one time more than 170 students attended the school at once, before a drop off in the 80′s and 90′s. Now, the new addition, John Ballis Hellenic Educational Center appears to be in full use, making St. Thomas Greek school the largest in the South Jersey area.